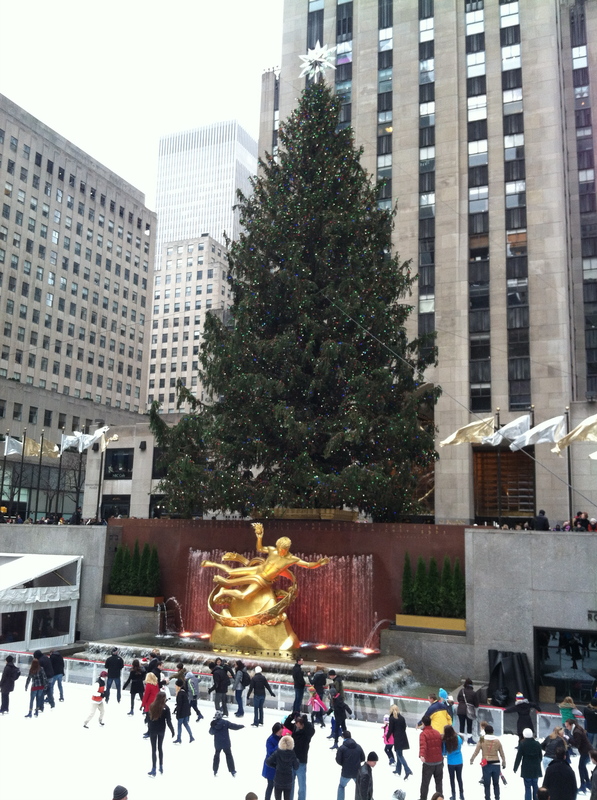 This weekend I decided to take a run by New York’s best Christmas sites. I headed straight up 6th Avenue. Saturday around 11am was not the best time for this with all of the people on the sidewalks. I made a game of running through the people. I hope they saw me and thought, “Man how cool, she must live here,” and not, “Who is that annoying person running down 6th Ave?” I also ran to a phenomenal playlist of Hanson, Bieber, and TSwift Christmas carols. 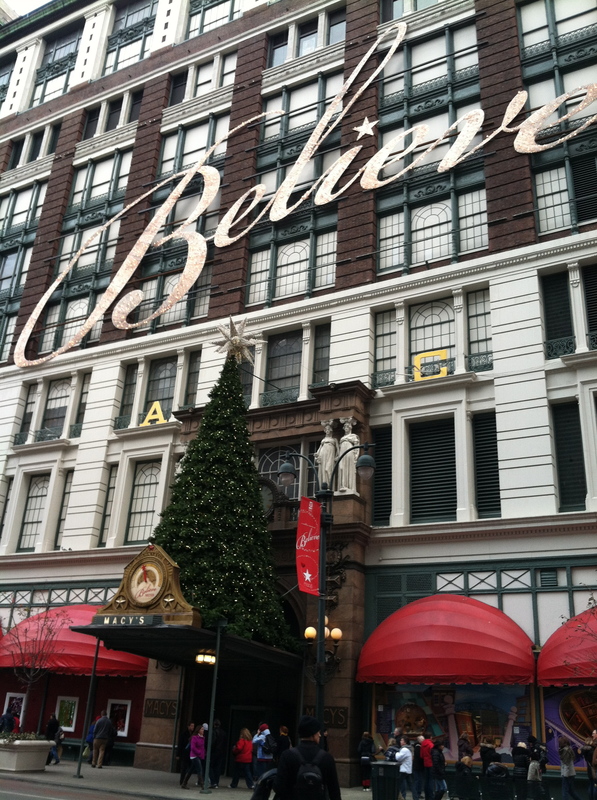 **BELIEVE** I took a peak at the windows, but I much prefer Saks, BG, and Lord & Taylor. 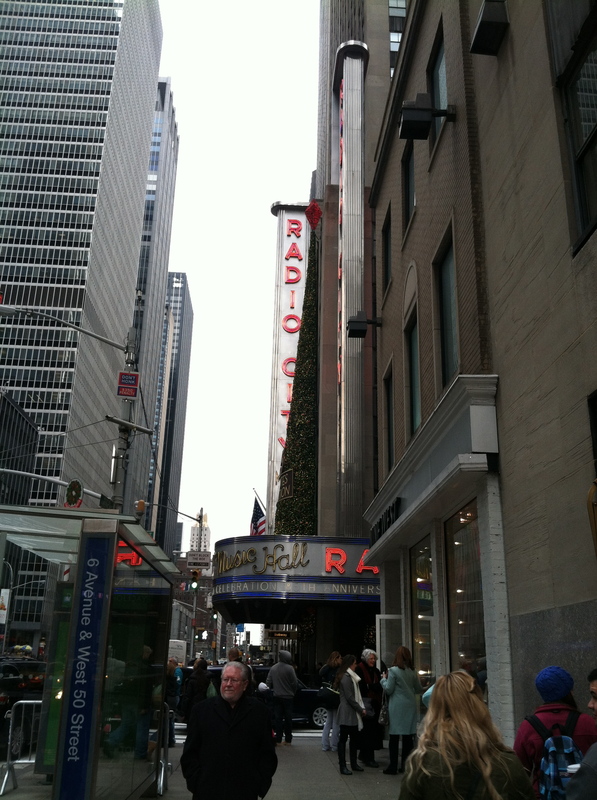 Then I continued the run up to 42nd street. The tree is much prettier than this photo. 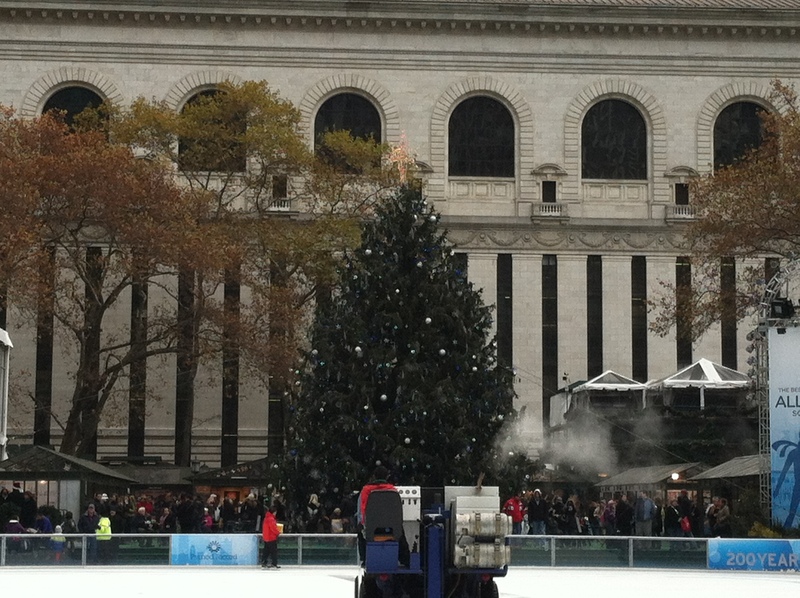 I honestly didn’t know this all existed in Bryant Park. It was never somewhere I visited in years past. I want to go back and skate! Woo hoo! I did a few Rocket kicks and made my way around the corner to the most beautiful and magical place in the city! I love it here and contemplated running here every day until Christmas. I also took a great video and emailed it to my family. It included me with a very silly and large grin. I decided to avoid the crowds and ran west to West Side Hwy, down, and home. I think I may tie jingle bells to my running shoes for the rest of the month. Very nice! The only Christmas trees I see on a daily basis here are the ones set up in little make-shift shacks alongside the road….maybe 8 feet tall?